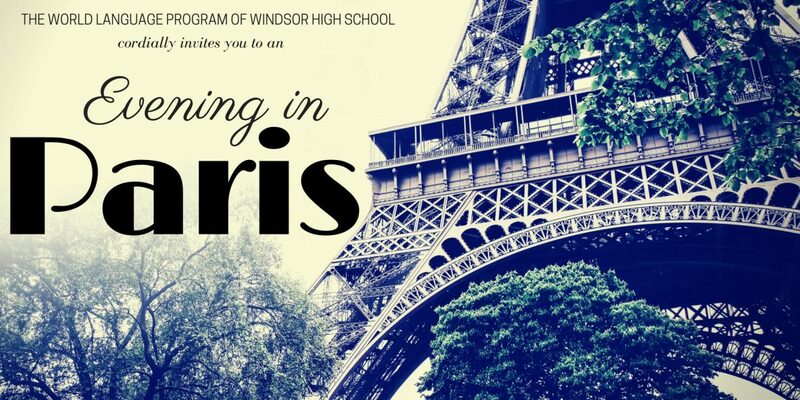 The Village at Cedar Hill cordially invites you to an “Evening in Paris”, a very special night of music, fine dining and fun to benefit the Windsor High School World Language Program. 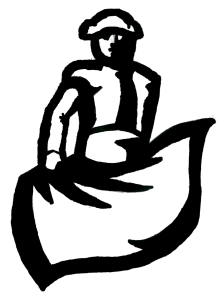 The festivities begin at 6 pm with drinks, appetizers, and a silent auction with fabulous prizes donated by local businesses, followed by a delicious French dinner prepared by Chef John Vigneault. The menu includes cheese & crudité appetizers; Roquefort salad; main course choice of chicken cordon bleu, braised beef short ribs, or stuffed portobello mushroom; dessert; and two complimentary glasses of wine for attendees 21 or older. 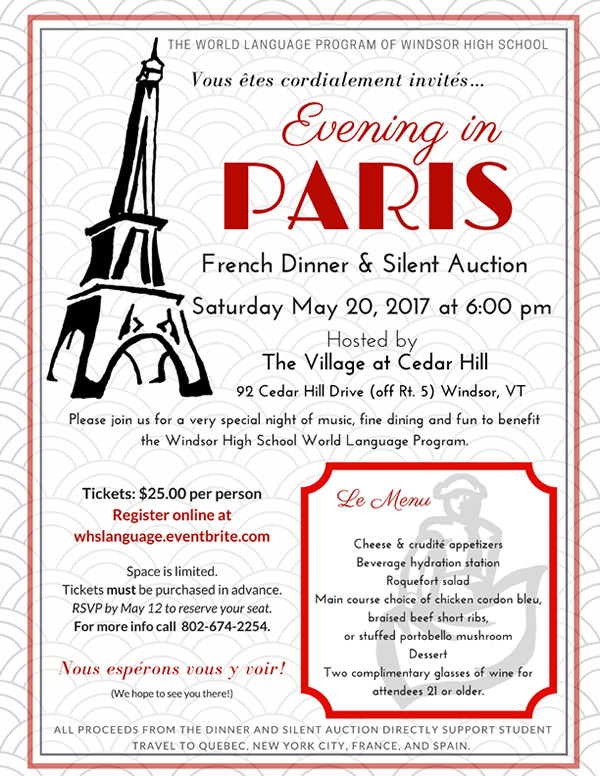 All proceeds from the dinner and silent auction directly support student travel to Quebec, New York City, France, and Spain! Space is limited and tickets must be purchased in advance. RSVP by May 12 to reserve your seat. 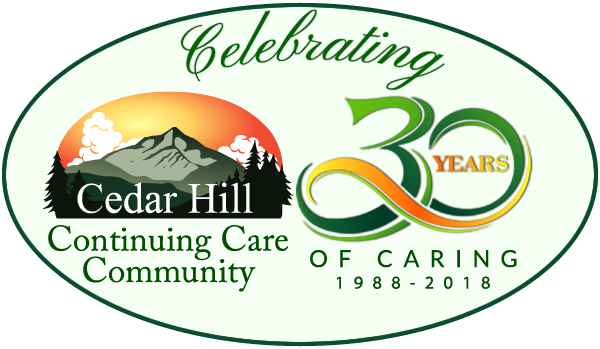 For more information call Cedar Hill at 802-674-2254. Parking is available. Handicap accessible.